There she is, Queen of the Manor... with the eye of the huntress, the focus of a 170 year old zen master, and the penchant for murder... I mean the ability to hit the bullseye! We have been taking on archery as a hobby. 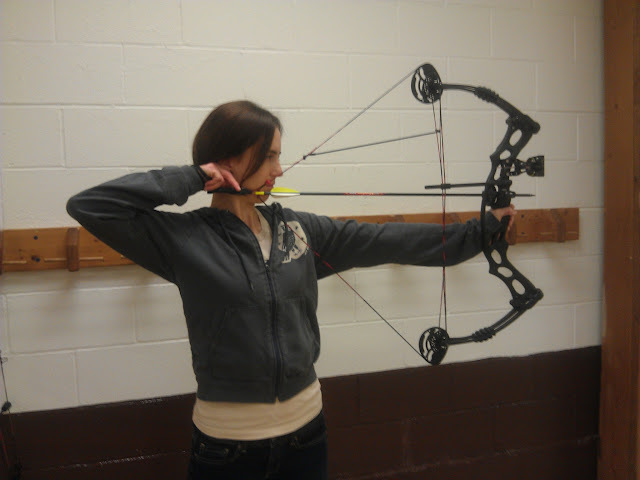 We took some beginner classes at the local archery range, and aside from sore shoulder muscles, we are hooked! We each got new bows and we go every week to fire off some arrows. 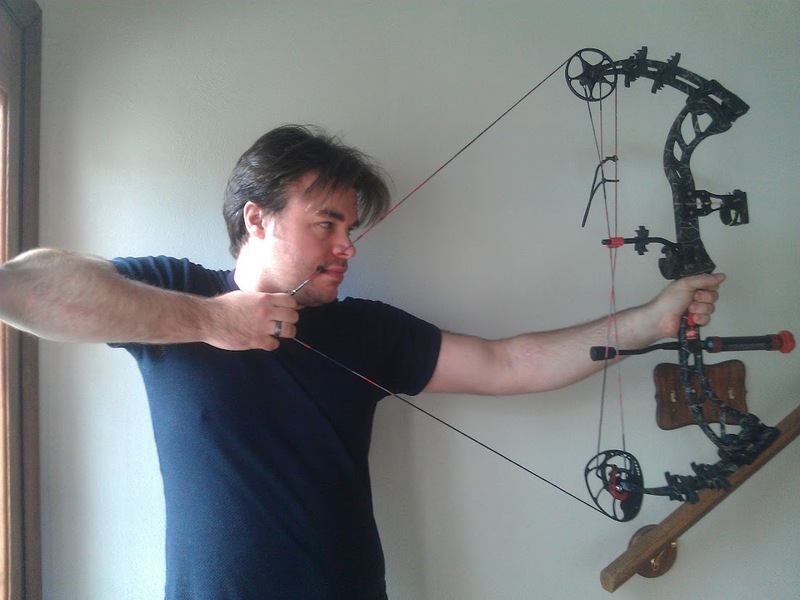 These aren't the kind of bows you might imagine when someone says bow and arrow. These things have pulleys and all sorts of gadgets on them. A compound bow, firing off arrows so fast and so hard it almost scares you every time. I fancy myself a marksmen. One day we will try to take down a deer or something. That is, if we ever get good enough to make sure we are not just torturing the wildlife. And furthermore, it's pretty cold outside. We have some great 4 season camping gear which I'm going to test out tonight in the backyard. Finally got the sleeping bags and cold weather gear to test the elements. Not like its been too cold lately though. Here's hoping I can convince Aimee to join me in the lamest camping party this side of the Mississippi. I think you need a cap with a feather!